Is the Strivectin Neck Cream the best neck cream? From cleansers and scrubs to masks and serums, there is no shortage of skin care products on the market. With so many options, it can be hard to know which ones are worth trying. Neck cream is one step that has long been debated in the skin care community with many firmly parked in either the "love it" or "hate it" camps. 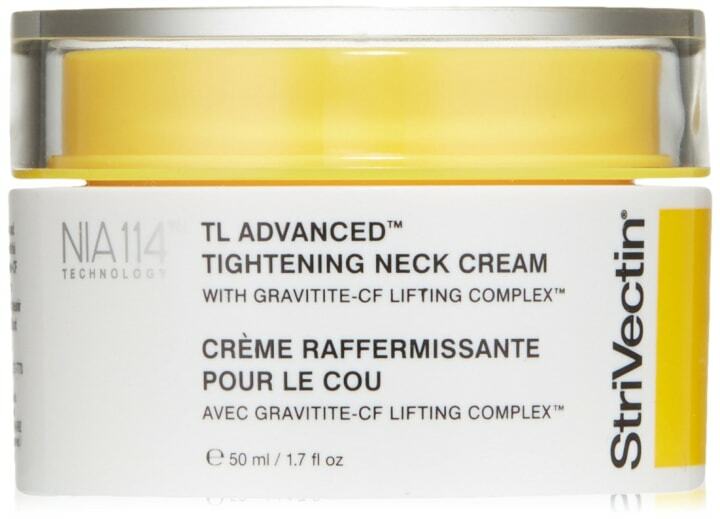 The NPD Group, a market research company, named Strivectin's TL Advanced Tightening Neck Cream the best-selling neck cream in the U.S. in 2017, according to Allure. In fact, the brand says that one jar of the cream is sold every minute worldwide. Also available for $95 at Ulta. Why look into neck cream? Until recent years, skin care ended at the chin line, but "the neck and décolletage are delicate regions that can show the signs of aging earlier than other areas of our bodies," said Dr. Meghan Feely, a dermatologist who works in New York City and Cedar Grove, New Jersey. "This occurs as we lose elastin and collagen in the skin, leading these (areas) to thin." Other dermatologists agree that it is necessary to apply some sort of moisturizing, sun-protecting and anti-aging product to your neck every day. "Most importantly, all patients should be using a broad spectrum, water-resistant sunscreen with an SPF 30 or higher for skin cancer prevention and preventing photoaging," said Feely. The majority of people have some sort of sun damage on their necks, according to Dr. Ranella Hirsch, a dermatologist based in Cambridge, Massachusetts. Case in point: Look under your chin and then at the side of your neck. Are the two spots different shades? If so, Hirsch recommends adding a daily sunscreen to your neck routine. After the sun protection factor, the next most important product for the neck is a moisturizer. Because the neck has fewer oil glands than the face, it needs slightly more moisture. Hirsch recommends simply using your everyday facial moisturizer to hydrate the neck. On the other hand, Dr. Patricia Farris, a dermatologist in Metairie, Louisiana, always prescribes a targeted neck cream as part of her anti-aging skin care regimen because they are "specially formulated for neck skin, which is a little more sensitive." Do specialized neck firming creams actually work? For someone looking to make a difference in the appearance of the neck area, neck creams are a great addition to a skin care routine. But each product is only as beneficial as the active ingredients in it, according to Dr. Lisa Chipps, a Los Angeles-based dermatologist. A few key components to look for when choosing the best anti-aging products are retinol, growth factors, peptides, hyaluronic acid, ceramide and SPF. Retinol has "evidence to demonstrate it remodels collagen and can help control oily skin and lessen the appearance of fine lines and wrinkles," said Feely. Growth factors are known to enhance elasticity through stimulating collagen production, peptides assist with skin laxity, hyaluronic acid moisturizes skin and ceramide may help repair the skin barrier. Most brands will use a proprietary version of a combination of these ingredients, so be sure to do your research before purchasing. Hirsch also warns that although many people see visible improvements while applying these products, many of them are not proven to have long-term results. Who should use neck cream? Unfortunately, there isn't a one-size-fits-all answer to this because it depends on the person and how they age. In general, Farris recommends a neck cream to "anybody who's over 40 and has had a significant amount of sun damage." Other dermatologists tend to lean toward incorporating neck care — although not always a specific neck cream — earlier as a preventive measure. Chipps explained that most "patients focus on their faces, but don't think about how their neck is aging." From her experience, patients only start working on the neck area once they notice a difference between their face and neck, but then it's often too late for creams to be able to magically repair decades of neglect. In the market for a neck cream? Try one of these dermatologist-recommended options! 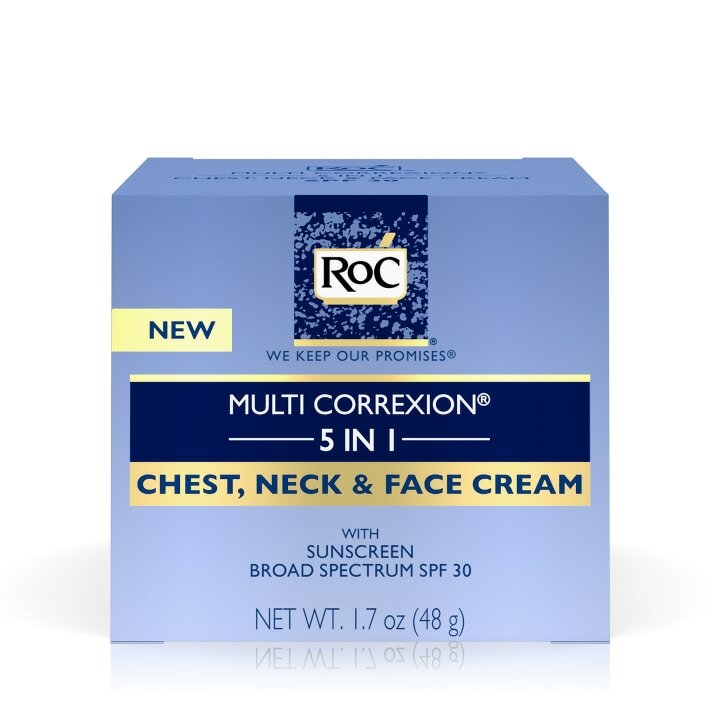 We love that the Roc Multi Correxion cream boasts SPF 30 to help fight off sun damage. It's fast-absorbing quality also makes it ideal for layering under makeup. 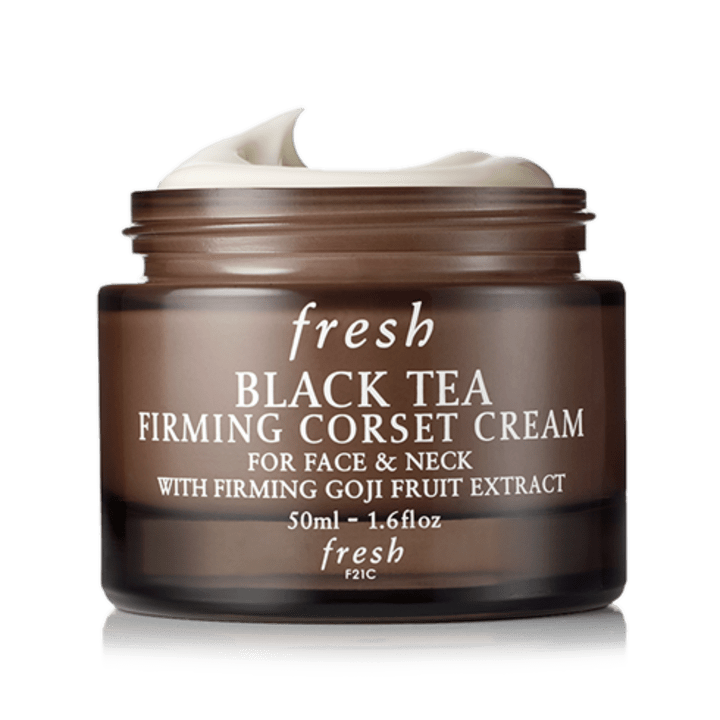 We love this neck cream for all skin types: Fresh's Black Tea Firming Corset Cream is a thick, hydrating cream that fights fine lines and wrinkles. According to the brand, this sulfate-free cream improves elasticity and tightens (without the feeling of tightness) for bouncy, smooth skin. Also available for $34 at Ulta. 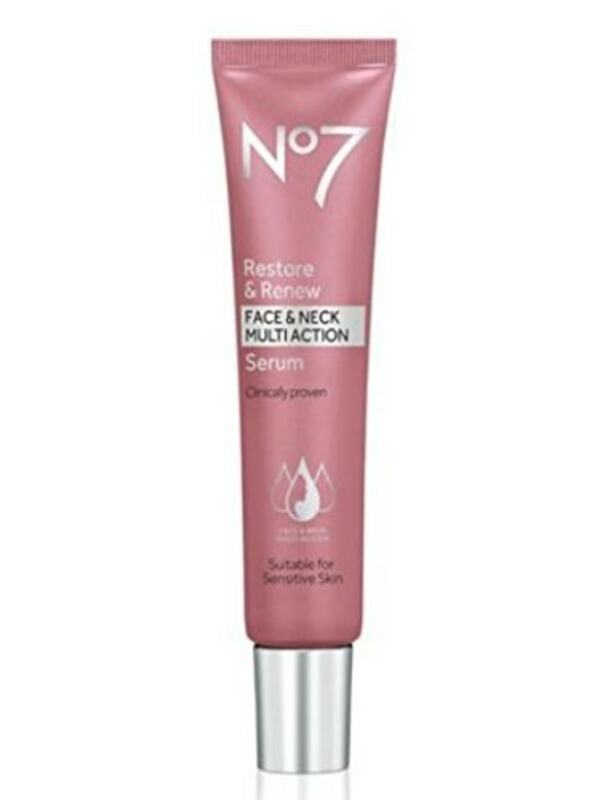 No7's face and neck serum tackles fine lines on the face while providing firming agents, like calcium and amino acids, to your skin. We love that it's fast absorbing, making it ideal for wearing under makeup or as part of your skin care routine. Also available for $54 at Nordstrom. 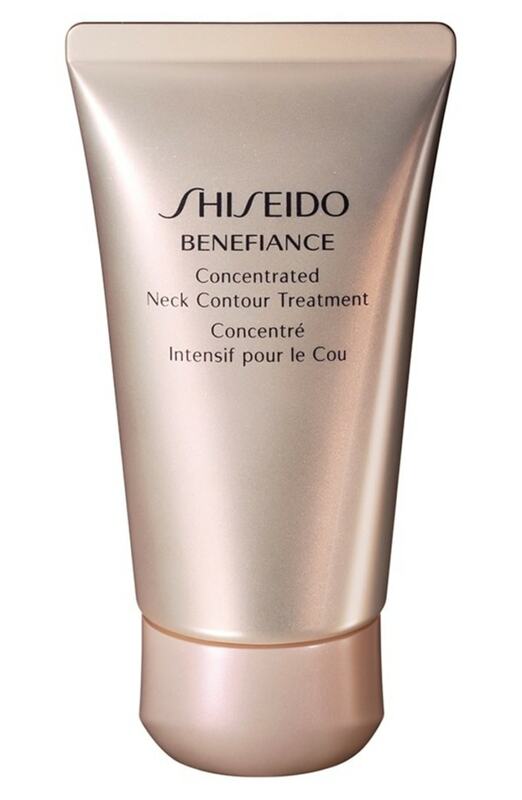 Developed with what the company has dubbed a "firm-support formula," we love this double-duty cream by Shiseido. It firms wrinkles along the neck while preventing further wrinkles. Goodbye, sun damage! Also available for $72 at Walmart. 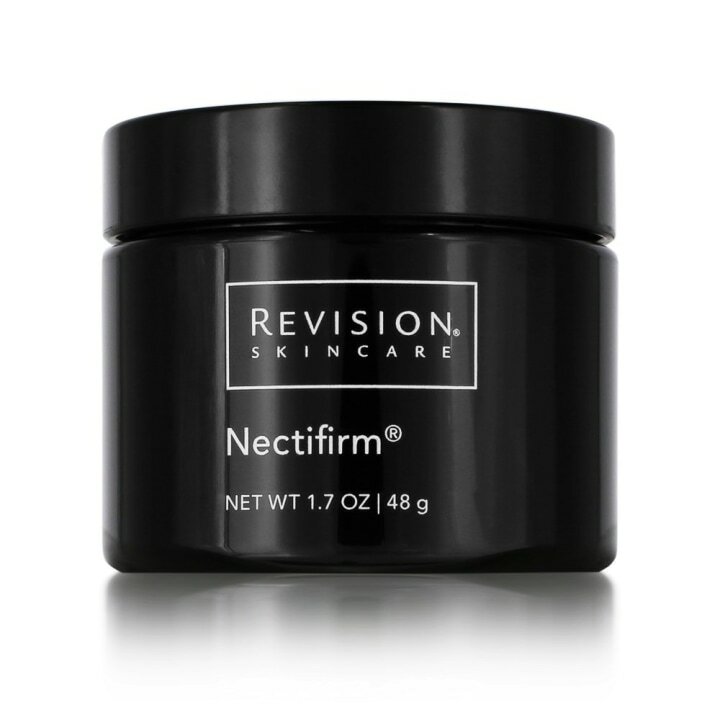 Revision's Nectifirm reduces the appearance of rough, wrinkly skin, according to the brand. Suitable for all skin types, we love that this cream was designed specifically for the delicate neck area, targeting loose skin and giving a firm, more lifted appearance. Also available for $84 at Dermstore. With pro-amino acids to help target collagen, this anti-aging cream is supposed to reverse visible signs of aging in the neck. 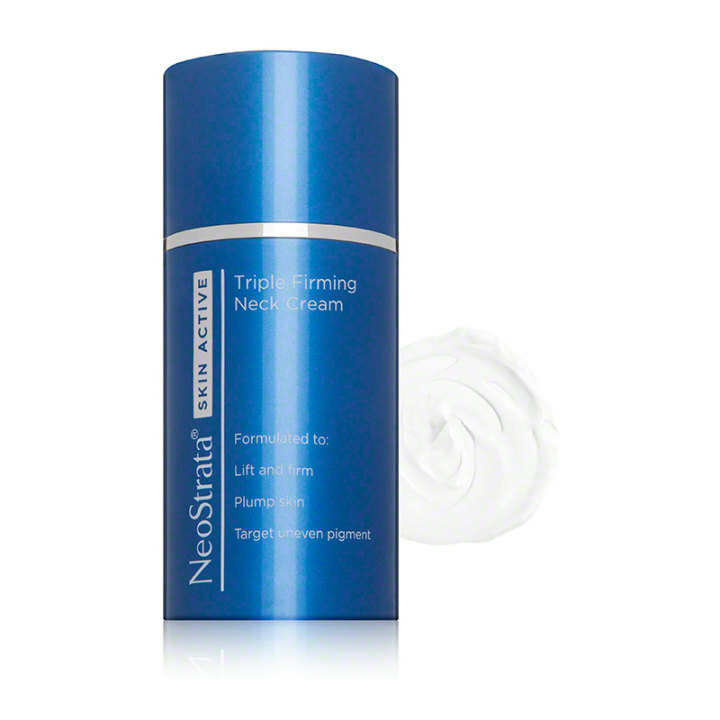 Neostrata's cream also gently exfoliates the skin for those dealing with sunspots or uneven pigment. This story was originally published April 19, 2018.